Give your lashes a workout and stretch them to the limit! Create unbelievable depth and intensity with the special ultra-curling applicator that lifts and defines every single lash. 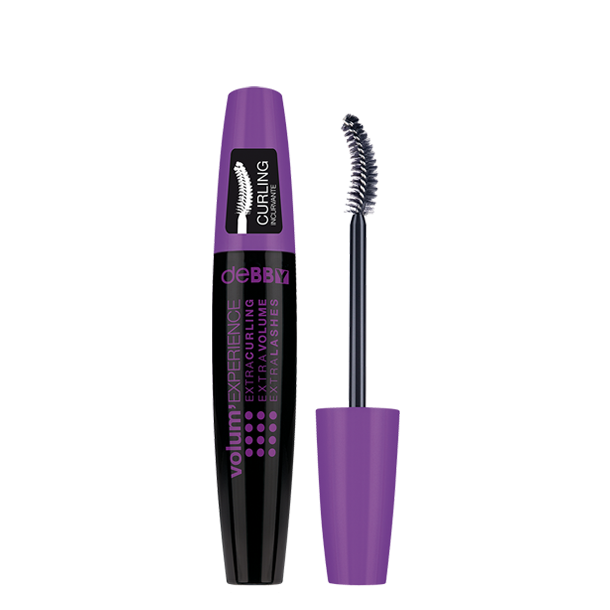 The formula is enriched with Triple Carbon Black Complex for unparalleled density and darkess. IL090318A INGREDIENTS: AQUA, PARAFFIN, COPERNICIA CERIFERA CERA, CERA ALBA, TRIETHANOLAMINE, PROPYLENE GLYCOL, ACACIA SENEGAL GUM, STEARIC ACID, PALMITIC ACID, PEG-75 STEARATE, GLYCERYL STEARATE, HYDROGENATED POLYCYCLOPENTADIENE, GLYCERIN, SILICA, RICINUS COMMUNIS SEED OIL, TOCOPHEROL,CELLULOSE, ACRYLATES COPOLYMER, HYDROXYETHYLCELLULOSE, TETRASODIUM DISUCCINOYL CYSTINE, POLYETHYLENE, PVP, SODIUM DEHYDROACETATE, METHYLPARABEN, IMIDAZOLIDINYL UREA, PHENOXYETHANOL, CI 77266 (NANO), CI 77499.